Years ago, I worked as a wine steward in the dining room of a Milsons Point club, virtually within the shadow of the Sydney Harbour Bridge. With big windows that looked out across Lavender Bay to the Harbour, it was a popular place with locals and visitors alike. Brett Whiteley lived in one of the old houses just across the road and some of his most famous paintings took in these same views. Amongst my regular customers was a lovely old couple I knew as the Forwards; John Forward and his wife Nancy. She looked like a grandmother from Central Casting, he a little like Jimmy Edwards. They loved good food, lots of wine and stimulating conversation; they were often the last to leave and Nancy’s booming laugh bounced off the walls like cannon fire. One day, they asked me to organise the bar for a function at a house on the Upper North Shore. When I arrived, the place was packed. Most of the guests were French and, intriguingly, they were treating Nancy like she was one step down from God. I soon found out why. 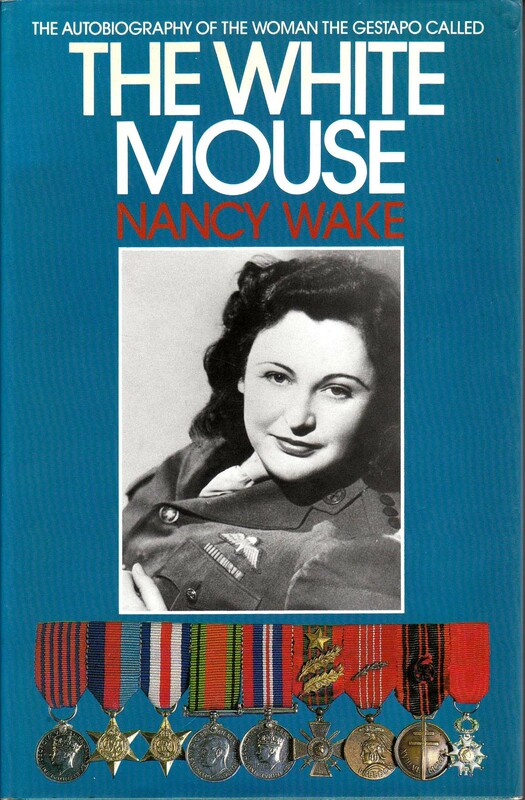 The occasion was to celebrate the release of Nancy’s autobiography and the vivacious, larger-than-life club regular turned out to be Nancy Wake, war-time heroine, member of the French Resistance and scourge of the Nazis. 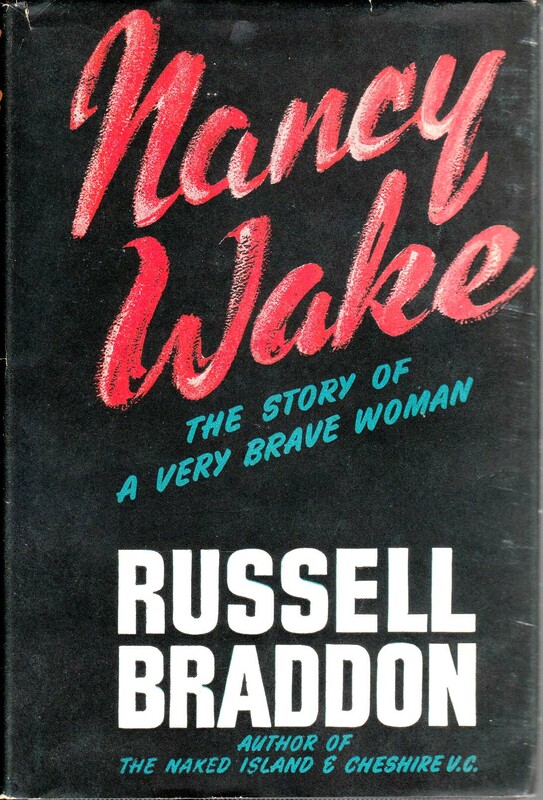 Russell Braddon had written a biography about her in the mid-1950s but she was virtually unknown in Australia despite being one of the most highly-decorated women of World War II. The French had awarded her three Croix de guerre as well as making her a Chevalier de la Légion d’honneur, the British the George Medal and the United States the Medal of Freedom. Nancy was born in Wellington, New Zealand, in 1912 but settled in Sydney with her family at an early age. By her early 20s, she was living in Paris and working as a journalist for the Hearst press. She travelled widely through Europe and saw first-hand the spread of Nazi ideology; she was horrified by the treatment of Jewish residents in Berlin and Vienna. In 1939, she married French businessman Henri Fiocca and settled in Marseille, where she lived the privileged life of a socialite. With the fall of Paris in 1940, France was split into two zones – the Occupied Zone and the so-called Free Zone in the south governed by a collaborationist regime based in Vichy. She made friends with many of the Allied POWs who were interned at the harbour-front Fort Saint-Jean and, before long, was acting as a courier and assisting in the organisation of escape routes. She came to the attention of MI9, a department of British military intelligence devoted to assisting prisoners of war. During this time, she helped more than 1,000 Allied personnel escape France. By late 1942, the entire country was controlled by the Nazis, who were actively seeking a mysterious dark-haired operative of the French Resistance, nicknamed the White Mouse for an almost superhuman ability to escape detection. By early 1943, however, such extensive resources were being put into capturing the White Mouse that Henri persuaded Nancy it was time to leave France. Although she was arrested on her way to Spain, she managed to escape and made it to London. What she didn’t know until after the war was that Henri had been arrested by the Gestapo but refused to give away her secrets. He was executed later that year. Nancy initially attempted to join the Free French Movement under General Charles de Gaulle but instead was recruited by the super-secret Special Operations Executive (SOE) which had been formed by Winston Churchill to finance, equip and train Resistance forces in Europe. She was a member of F Section under famed spymaster Colonel Maurice Buckmaster. Trained in such necessary skills as unarmed combat, silent killing and how to make explosives from common kitchen ingredients, she was parachuted back into France in February 1944. It was her exploits during this period that grew more legendary with each retelling. The truth, she maintained, was more than enough. “I’ve read articles where I led 8,000 men into battle, just like bloody Joan of Arc,” she told me with a hearty laugh. She was trained to kill and kill she did, with no hesitation or remorse. In one instance, she threw a grenade into a dining room full of Gestapo officers. She organised the supply and equipping of Resistance forces and was often at the forefront of battles with German troops. While she was dedicated and resourceful, she also exercised a fierce sense of humour that earned her enormous respect among the men she led. That she was a women and a foreigner made that regard even more remarkable. When the Germans were routed from France, and her own war was at an end, she returned to Marseille and discovered the heart-breaking truth about her beloved Henri. As a small measure of comfort, she was reunited with Picon, the wire-haired terrier she’d adopted when she first arrived in Paris. Nancy eventually returned to Australia and married John Forward, a retired RAF bomber pilot and settled in Sydney. By the time I met her, her fame had receded into an obscure historical cul-de-sac; she was simply Nancy, the hearty, earthy woman who loved a big glass of wine, making jokes at her own expense, and cooking up huge batches of rich saffron-tinged bouillabaisse for her friends. I knew her for a few more years before she and John moved to Port Macquarie and we lost touch. After John’s death in 1997, she relocated to London where she lived at the Star and Garter Home for ex-servicemen and women. Her death, at the age of 98, on 7 August 2011, closed the final chapter on a remarkable life. Her story was told by Russell Braddon in 1956, by Nancy herself in 1985, and by Peter FitzSimons in 2001. Upcoming is a planned biopic to be directed by Bruce Beresford. The things you enjoy today are often the result of the influence of others. When I heard of Nancy’s death, I made up a Pernod just the way she first showed me, a generous shot in a tall glass with a full measure of ice and water. As I sipped, I reflected on the stories she told in her self-deprecating but forthright way. And I thought, I bet she’s sought out Hitler in some corner of the afterlife and is devoting a fair proportion of eternity telling him just what she thinks of him. They don’t make dames like that anymore. Hey Kristine – thanks for your comments. I do remember that restaurant, despite the copious quantities of wine we would have consumed at long lunches with Howard et al. Small world about Nancy, huh? I missed her when we lost contact and I never caught up with her in London despite my best intentions. She was quite a lady. The world doesn’t make heroes like that any more, n’est-ce pas? It just shows many people live in a world of their own. We have all heard of Nancy Wake and I knew a bit of what she had done but, like everyone else, you don’t take much notice until they have gone. What a life she must have had – good and bad – but it’s not till you read about her that it brings a new light on a truly remarkable lady. Thank you, David. Hey San – I really appreciate your comments. She was remarkable in that she was so matter-of-fact about her life. Didn’t brag, just played down a lot of what she did. And I had no idea of who she was until that fateful day. I feel lucky to have known her. Hey david, thanks for writing this blog and looks like I am not the only one who knows about the story of Nancy Wake. She was a brave woman and an inspiration. What a shame she is dead but at least her legacy lives on. I love your blog and this post but the pedant in me couldn’t let me not mention that it was probably the interned POWs that Nancy met in Fort Saint-Jean, not the interred ones. Hey Cliff – Many thanks. Most embarrassing but more so for my many editor friends who also read the post and didn’t notice the mistake. Even us professionals mess up, huh? Thanks again.